ranking boost of site-wide SSL. With Google’s recent announcement that they are giving sites with HTTPS everywhere an SEO boost, buying an SSL Certificate is now the easiest thing you can do to improve your search rankings. This boost applies to all sites using SSL, not just sites or pages exchanging sensitive information. That means even if you don’t have a checkout page, a login page, or aren’t exchanging financial or personal user data you can still get SEO benefits from installing an SSL Certificate on your site. Having site-wide SSL is one of the easiest things you and your customers can do to boost SEO. While many of Google’s ranking factors are vague or difficult to measure, having HTTPS everywhere on your site is a fool-proof way to get your site above your competitors’. It’s cost-effective, easy to implement, and a guaranteed win. Google is giving sites with HTTPS everywhere a rank boost, even if they don’t transmit sensitive data; and this boost will only increase over time. Make sure you’re ready for the future of SEO with site-wide SSL. 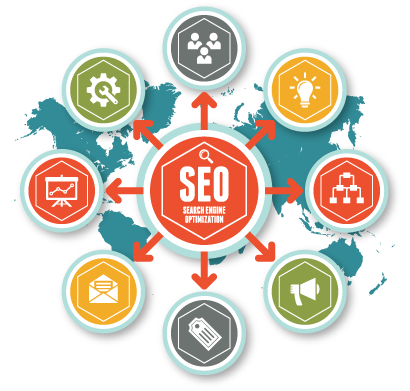 With your site ranking higher in Google searches, you will be driving more traffic. And with the added security benefits of SSL these new users will feel confident on your site, positively affecting engagement metrics. With SSL, you get more than just an SEO boost. SSL Certificates protect your user’s data from new threats and protect your brand’s reputation from the crippling effects of a data breach. SEO agencies and service providers that buy certs from DigiCert will benefit from our reseller program and channel partner incentives. We also have free tools for you to help your customers get their certificate up and running. What Kind of SSL Certificate Should I Use? EV SSL Certificates have a rigorous verification process and specific, EV-only browser cues like the green address bar. These certificates were specifically created to boost customer confidence in the Websites that they secure. EV SSL Certificates are unique in that they offer a full verification of identity, further showing Google that you secure customer data and that your own identity has been vetted by a trusted third party. If you or your customers are looking for more from your certificate—including increased conversion rates, improved engagement metrics, and elevated brand reputation—DigiCert recommends an EV SSL Certificate. The validation process for an EV SSL Certificate includes an intensive evaluation procedure and meticulous documentation checks to confirm the company’s authenticity and ownership. Because of this higher level of validation, browsers show special visual cues for pages secured with an EV certificate. For SEO agencies, service providers, or for companies looking to secure multiple domains or subdomains, a Wildcard or Multi Domain (SAN) certificate may be a good fit. Larger Websites and online service providers often require more than a single-domain SSL Certificate. They may have multiple Websites, or just many different domains to secure. Service providers may secure customer Websites or run services for businesses and need to secure portals for their own customers. Wildcard and Multi Domain certificates are a cost-effective way to secure multiple subdomains or domains with a single certificate. Q: Will enabling SSL affect my site speed? Google went through the process of turning on HTTPS across all of their sites and services, even for basic Internet searches, and reported that site speed increased by less than 1%. Previously, some companies were worried that adding SSL to their sites would negatively affect page load time and thus search engine ranking. While it’s true that Always-On SSL can cause increase some network latency, computing power has come a long way and today's servers can make SSL connection very quickly. The site speed concern is also negated if you keep performance in mind when choosing a Certificate Authority (CA) and properly implement your SSL Certificates. When looking for a CA, revocation checking (OSCP response time) is the most important metric for performance and has the biggest influence on page load time. DigiCert’s OCSP response times are over 4x times faster than our competitor’s so you don’t have to choose between SEO ranking and site speed. Q: How easy is turning on AOSSL on my site? When implementing Always-On SSL, there are simple steps you can take to install an SSL Certificate, enable it for all of your site pages, and avoid affecting page load time and negative search engine rank. Our expert team of support engineers are available 24 hours and will always help you or your customers through the process and make sure your site is not negatively affected. DigiCert is the fastest issuer of trusted SSL Certificates and most of our certificates are issued in just a few minutes. Our expert verification team ensures no hassle and lightning quick SSL Certificates for you. DigiCert has also created a free quick start guide for migrating sites to Always-On SSL. The step-by-step instructions for HTTPS everywhere helps site owners understand what is SSL everywhere and how to enable it on their sites online. If you are working with multiple clients, you will benefit from our partner program and unique partner incentives, including special pricing. DigiCert Partner programs never require upfront funds giving you the flexibility to grow your partnership as you grow your business. Whether you simply pass along occasional referrals, or have an integrated program for your clients, we have a system to meet your needs. Your clients will benefit from DigiCert’s award-winning customer service, along with a set of free tools that make certificate management tasks easy. If you’re already a DigiCert customer, you can get access to additional benefits and opportunities by becoming part of our channel partner program. Call us at 801-701-9695 or email channel@digicert.com to talk about possible solutions.